A rescue horse, once destined to become hamburger, has the tools for a promising career in the show ring. 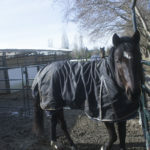 Rescued from the back of a meat truck in 2015, Foster was brought to Southlands Riding Club for rehabilitation, where staff were surprised to discover the wary dark bay gelding had the makings of a successful competition horse. “I think people say that [Foster has potential] because he’s very flashy,” said trainer Marta Modzelewska, a volunteer at Southlands and has worked with Foster for two years. According to Modzelewska, Foster has promising rhythm and confirmation of movement, which could win Foster high scores in competition. However, trust issues stemming from a history of abuse have made him nervous and difficult to train. “He’s wary and he’s very stubborn,” said Modzelewska. 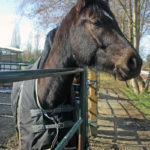 Natalie Naherney, Club Lead at the UBC Equestrian Sports Club, believes that four-year-old Foster will grow out of his nerves under Southlands’ extensive care. The key, she says, is patient training. According to Naherney, it’s rare to find a rescue horse with Foster’s natural movement. Show horses, she said, are specifically bred with long bloodlines and are very expensive. Foster is one of four rescue horses currently living at Southlands and receiving meticulous attention from volunteers like Modzelewska. 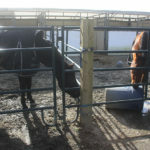 The intention, according to club coordinator Dani Craig, is to prepare the horses to be sold. However, not every horse is intended for competition.